South Africans have more loans than they do jobs. That’s a stark statistic. But loans don’t have to be a burden if you use them wisely. This guide will cover the differences between the main types of loan: payday loans, personal loans, and long-term loans. You’ll be able to choose which loan is right for you and your circumstance. Keep reading to find your answer! Types of Loan: How Do They Work? Both payday loans and personal loans are considered short-term loans. They are intended for times when you have an unexpected financial emergency, but not enough funds to cover it. However, many South Africans use these short-term loans to pay for entertainment or unnecessary things, which can lead to trouble with their credit later on. So it’s important to understand that short-term loans should only be used when necessary. Your loan amount and length of time to pay it back will vary from place to place. Where you borrow from and your reason for borrowing will be deciding factors. Remember, don’t just opt for the lowest repayment rate over the longest period of time – the math doesn’t work out in the end. You’re still paying more. Your credit history’s health is important, and if you are blacklisted, it will make it harder to get a loan. It will also determine your interest rate. These loans are the fastest and easiest to get. These are generally in the amount of less than R10 000. Since they are unsecured, they require that you pay them off within one month. Payday lenders charge a fee rather than an interest rate. But if you cannot pay them off in time, the interest rates go even higher. This can become very expensive and cause your credit score to get worse. Financial experts advise that you only use a payday loan in the case of emergency. You might have to pay anywhere from 30-50% more than the actual amount of the loan. 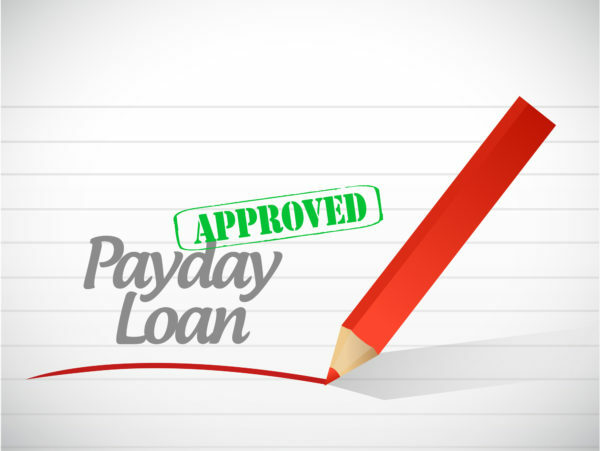 Payday loans are quick to obtain, taking anywhere from a couple of hours to a couple of days to receive. You will not be required to undergo a credit check, as well. Personal loans are considered ‘microfinance’, and are not intended to pay for really large, expensive costs like mortgages or buying a car. They’re also fixed at a certain amount for a specific amount of time. You’ll want to use a personal loan for things like debt consolidation. You will still have to deal with interest and administration charges for these types of loans, and that can also add up quickly. This is because interest rates for personal loans are usually much higher than for a secured loan with a collateral security. If you decide to use a personal loan for debt consolidation, you can bundle all of your debt into one payment and one payment schedule. It’s not a sequestration or debt review, but rather a restructuring of many smaller debts so that you can pay off all of them in one, more controlled amount. These types of personal loans will usually allow for you to pay off your debts at a lower rate than you were previously, and over more time. These types of loans are intended for your big, lifestyle purchases such as a home or a vehicle. Since they are secured loans, they will require collateral and more administrative oversight before granting the loan to you. And, if you can’t pay off this loan, the lender is owed your collateral. If you are taking out a long-term loan to buy a home, the lender will need to be certain of your property’s equity. This means that the land you are buying must equal the amount of the loan. These loans will also require you to have a solid credit history. Long-term loans for purchasing a vehicle are known as ‘logbook’ loans, and also require collateral. These loans usually amount over R15 000 and up to R500 000. Repayment periods are from one year to five years. Longer loan periods usually mean a lower interest rate, but that doesn’t make them “cheaper.” Loans are more expensive the longer you hold them, so you’ll still want to pay off your long-term loan as soon as possible. South African lenders will require your ID, proof of residence, and at least three pay stubs as proof of employment. They also might require your bank statements. Be sure to check with the lender you want to apply to, and see if they have a list of required documents. If you’re self-employed, you may need to show even more proof of income stability. In South Africa, being self-employed could mean you aren’t eligible for certain loans. Check your credit score and history before you apply, and only choose a few reputable institutions for the application. Being rejected multiple times might negatively affect your credit score. Always be sure you understand the fees you are charged before you sign on for a loan. That way you won’t be surprised by any unexpected fees. This guide will have given you an idea of what types of loans to research, and what to expect in the application process. It’s not a difficult thing to apply for a loan, but you need to be aware of your financial history and goals. It’s easy to go into debt if you’re not responsible with your finances. If you have more questions about loans, and if you qualify for one, check out the available services.